We are here to offer you treatment of Chronic Fatigue Syndrome and fatigue as a result of other illnesses and lifestyle choice and to answer any questions you may have. Simply fill out the form below or get in touch using our other details. If you would like to register please enter your details on our register page. Do you have a specific question for the therapists? From M6 Junction 31 ‘Tickled Trout’, take the A59 exit to Blackburn & Clitheroe and then follow signs for Blackburn A677. Leave the A667 to turn left onto Yew Tree Drive A6119. 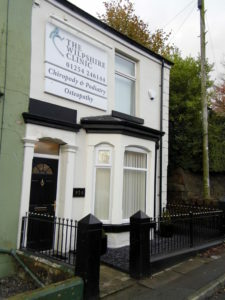 The clinic is located on the right, just after the Bull’s Head pub which is on your left. There is on street parking at the front of the Clinic and you may also find parking on Salebury View (first road on the right after the clinic). Ramsgreave and Wilpshire railway station is a 5 minute walk from the clinic.